The Beatles – This Boy – guitar lesson (no lecture – just show you how to play it) – includes chord tablature for instructional purposes. 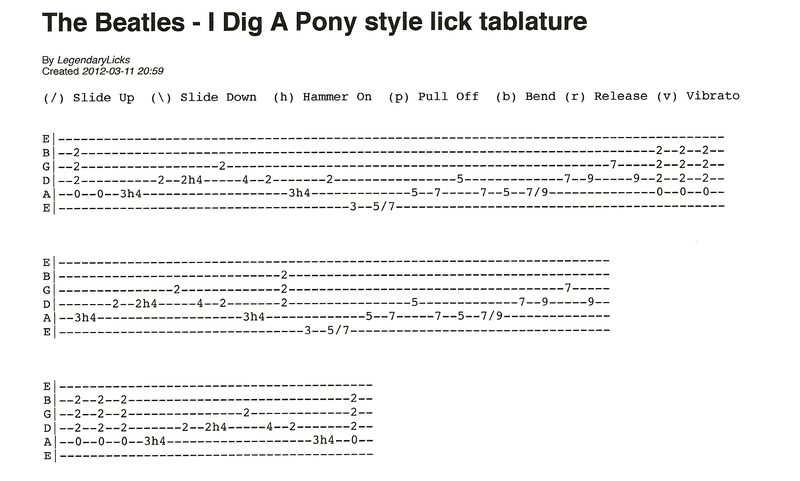 The Beatles – Dig A Pony style lick with tablature for instructional purposes. 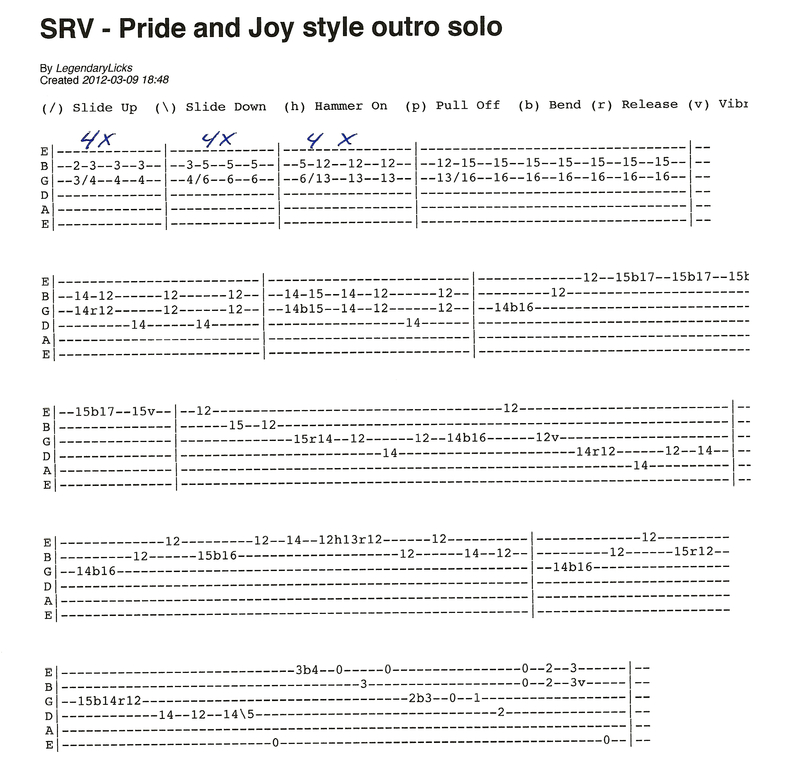 Stevie Ray Vaughan – Pride and Joy style outro solo with tablature for instructional purposes.